Don't you just hate chopping parsley? It's one of those ingredients I wished I could just buy ready chopped, until I learned a super neat and quick way to get the job done - presto! 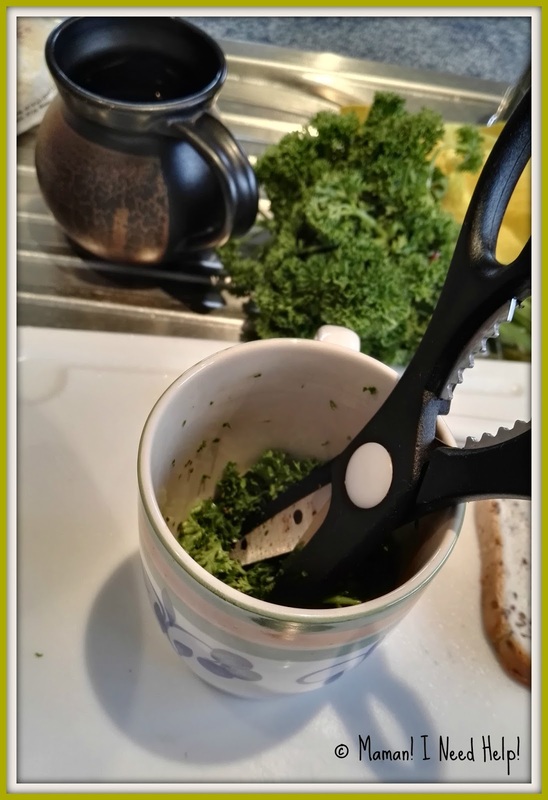 With good kitchen scissors, just chop off the amount you need and place in a mug. Using the same scissors, chop away at your parsley inside the mug until you're happy with it. Ta-dahhhh! Or, using the same method, chop up the whole bunch of parsley in several goes, and freeze the chopped parsley in a zip-lock bag. Chopped parsley read to go in the freezer! You're welcome! And let me know if you have another cool kitchen trick :-)!